There are 337 public water providers, servicing almost 3.5 million Oregonians, who rely on surface waters for some or all of their supply. These providers may own their source water watersheds, but many do not. As a result, they have little control on activities occurring in their source watersheds, many of which are forested and managed by a diversity of owners. 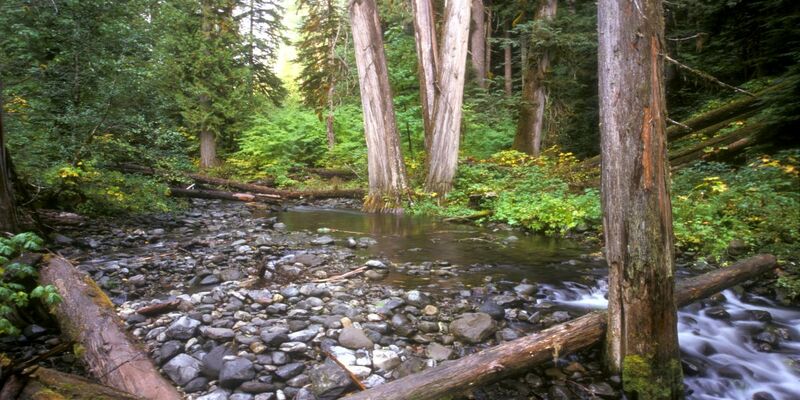 The Oregon Forest Resource Institute (OFRI) Board has asked OFRI staff to produce a special report, Trees to Tap, to be a science-based summary of the effects of forest management on drinking water. The last report on this topic that OFRI commissioned was in 2000 – Municipal Water Supplies from Forest Watersheds in Oregon: Fact Book and Catalog, by Paul Adams and Mark Taratoot. That report summarized the findings of a survey of 30 major municipal water systems in Oregon and the literature of the day on forested watersheds and the effects of forest management. The purpose of this project is to 1) update that report by synthesizing current science about the impacts of forest management on community drinking water supplies, and 2) describe and analyze the management of forested municipal watershed systems. This project is funded by the Oregon Forest Resources Institute.